Exquisite designs on these balloons! The picture doesn't do them justice. The picture really doesn't convey how beautiful these balloons are.They are larger than a standard balloonhave a wonderful glossy shine to them once they are inflated with vibrant colors. 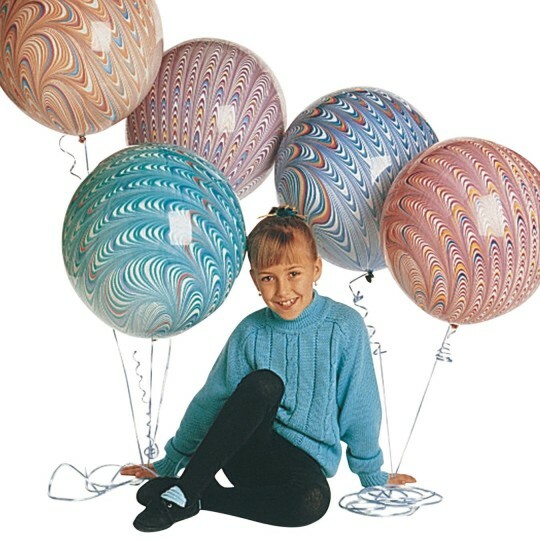 These look great when you put one or two of them with a bunch of solid color balloons.